Musculoskeletal tuberculosis in children is a rare disease that most commonly affects the spine. Young children living in areas with high disease prevalence are at increased risk of developing tuberculosis. With this case report, we aim to emphasize the high degree of suspicion one must have in diagnosing pathological fracture of vertebrae including disseminated malignant disease and multiple tuberculous spondylitis lesions in differential diagnosis. We retrospectively examined our patient’s hospital record including clinical presentations, diagnostic tools, management, and outcomes. Magnetic resonance imaging is the method of choice for diagnosing infectious discitis and spondylodiscitis. However, the etiological agent can be distinguished only by needle aspiration or bone biopsy. In the presented case, the initial symptoms of spinal tuberculosis that included back pain, neck pain with torticollis and, to a large extent, MRI findings, raised our suspicion of disseminated malignant disease. 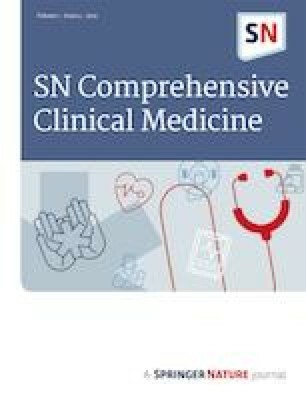 Skin abscess aspiration and bone biopsy confirmed extrapulmonary tuberculosis, while pulmonary tuberculosis was unlikely. With the increased inflow of Bacillus Calmette-Guerin–vaccinated immigrants and refugees from high-burden tuberculosis countries, the interferon gamma release assay is preferred over the tuberculin skin test to screen for latent tuberculosis infection. Early diagnosis and treatment of spinal tuberculosis are necessary to prevent neurological disability and kyphosis. The presentation of spinal tuberculosis with atlanto-axial subluxation and compression fractures of vertebrae is unusual. The large extent of spinal tuberculosis changes on imaging does not always correlate with reported signs and symptoms. Nevertheless, children with spinal tuberculosis should be followed up until skeletal maturity. Musculoskeletal tuberculosis (TB) in children is a rare disease that affects most commonly the spine (50–69%) . Young children living in areas with high disease prevalence are at increased risk of developing TB . Spinal tuberculosis (STB) usually occurs secondary to extra-spinal source of infection via the hematogenous route. Magnetic resonance imaging (MRI) is the method of choice for diagnosing infectious discitis and spondylodiscitis. However, the etiological agent can be distinguished only by needle aspiration or bone biopsy [2, 3]. While on antituberculous drug therapy (ATT), patients should be followed up for drug compliance and complications . The long-term prognosis is good in patients without neurological deficit and deformity. The majority (82–95%) of patients respond well just to ATT because rifampicin, isoniazid, and pyrazinamide penetrate well into tuberculous vertebral lesions . We report a case of a 9-year-old refugee boy with a 3-month history of neck and back pain who was eventually diagnosed with STB. With this case report, we aim to promote STB as an important differential diagnosis of disseminated malignant disease in children. A 9-year-old previously healthy boy presented to the emergency department (ED) with unilateral ear, neck, and back pain. He had no fever nor any other symptoms. He arrived with his family to Croatia a year ago from Southern Asia. Chest radiograph was not performed. The patient received amoxicillin/clavulanic acid for supposed upper respiratory tract infection. A month later, he returned to the ED with reduced and painful neck movements and observed torticollis. He was admitted to the hospital and MRI of the brain and spine was performed. Left occipital condyle infiltration (Fig. 1a), atlantoaxial subluxation (Fig. 1b), infiltration and destruction of Th2 vertebra, left-sided giant tumor-like masses paravertebrally with Th7 compression fracture, right pleural infiltration in basal parts of the lung (Fig. 1c) and infiltration in Th12 and S2 vertebrae were detected (Fig. 1d). Positron emission tomography–computed tomography showed pleural infiltration of the right chest cavity and multiple osteolytic lesions. Disseminated malignant disease was suspected. Bone marrow aspiration (BMA) gave regular immunophenotyping and no tumor cells were detected in myelogram. Interferon gamma release assay (IGRA) was positive (10.00 IU/ml). The patient’s vaccination record included Bacillus Calmette-Guerin (BCG) vaccination at birth. There was no reported TB in his family or relatives. The patient was subsequently transferred to the University Hospital for Infectious Diseases. Upon physical examination, the child had orthopedic neck collar and was of good general appearance. One skin abscess 2 × 1 cm was noticed in the lower right abdominal quadrant, lymph nodes were not enlarged and auscultation of the lungs revealed weaker respiratory sounds in the right lower segments. Chest radiograph showed infiltration of the right middle lobe with multiple nodular infiltrations in the right basal parts of the lung (Fig. 2). Tuberculin skin test (TST) result was more than 9 mm, galactomannan assay was negative and serology for brucellosis and bartonellosis as well as HIV Ag/Ab were negative. Skin abscess aspirate for smear microscopy showed acid fast bacilli and drug susceptible Mycobacterium tuberculosis in culture. Bronchoalveolar lavage fluid was sampled where smear microscopy, culture, and GeneXpert MTB/RIF were all negative. Repeated BMA came back negative for GeneXpert MTB/RIF. Nontuberculous mycobacterial infection was suspected and azithromycin, rifampicin, and ethambutol were started. After bone biopsy of the affected vertebra and presented granulomatous infection with caseous necrosis, confirming STB, isoniazid with pyrazinamide, rifampicin, and ethambutol were initiated. Dosages of ATT were in accordance with the current guidelines. Orthoses were applied and physical therapy was started. The patient was without signs of kyphosis or neurological disability and of good general appearance. One month after initiating therapy, he was discharged with planned regular follow-up, but the patient and his family left the country soon after discharge from the hospital so the treatment and outcome could not have been fully assessed. 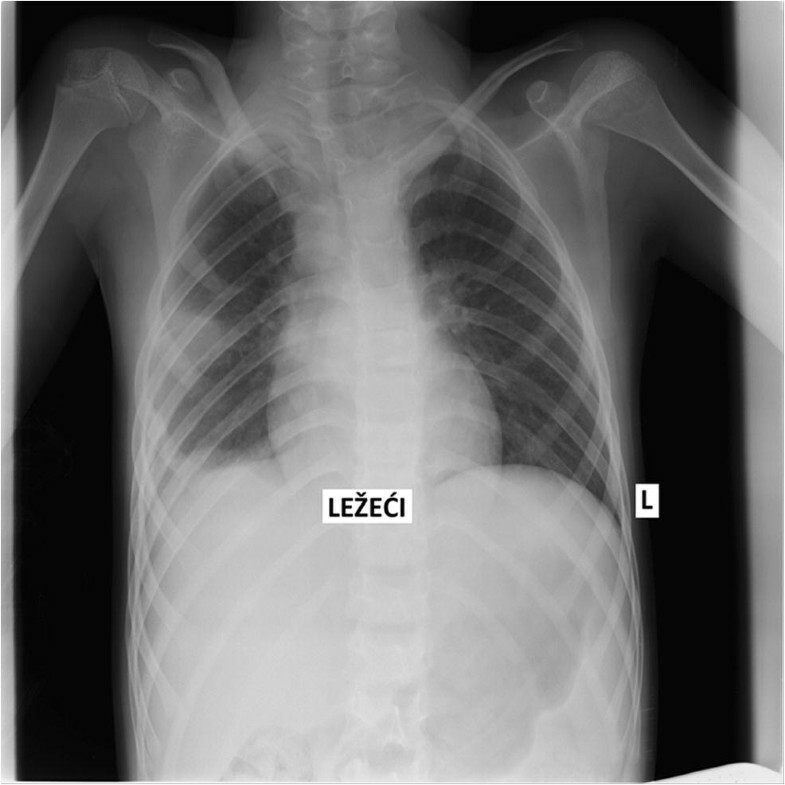 We report a case of extrapulmonary tuberculosis (ETB) diagnosed in Croatia in a refugee boy from Southern Asia. In developed nations, most cases of STB caused by M. tuberculosis are seen primarily in immigrants from countries with higher prevalence of TB. With the increased inflow of BCG-vaccinated immigrants and refugees from high-burden TB countries, IGRA is preferred over TST to screen for latent TB infection. [4, 5]. Initially, positive IGRA in our patient led us towards the right diagnosis. Early diagnosis and treatment of STB are necessary to prevent neurological disability and kyphosis. 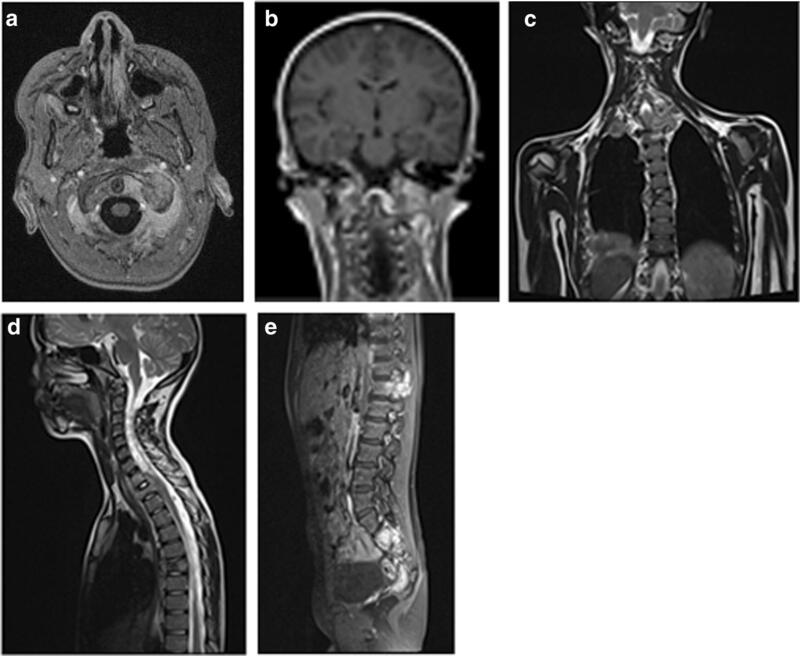 In the presented case, the initial findings of STB that included back pain, neck pain with torticollis, and, to a large extent, the MRI findings, raised suspicion of disseminated malignant disease. However, there is no pathognomonic MRI finding that reliably distinguishes STB from other spinal infections or from malignant disease [3, 6]. Skin abscess aspiration and bone biopsy confirmed ETB, while pulmonary TB was unlikely according to the criteria proposed by Zar et al. . Although ATT was started more than 3 months after the presenting symptoms, no permanent sequelae were noted in our case. Uncomplicated STB can be treated with ATT and suitable orthoses. Patients with cold abscesses, neurological deficit, and/or severe kyphosis in spite of a few months of ATT should be surgically treated [3, 6]. In conclusion, the presentation of STB with atlanto-axial subluxation and compression fractures of the vertebrae is unusual. Our case emphasizes the high degree of suspicion one must have in diagnosing pathological fracture of vertebrae including disseminated malignant disease and multiple tuberculous spondylitis lesions in differential diagnosis. The large extent of STB changes on imaging does not always correlate with reported signs and symptoms. Nevertheless, children with STB should be followed up until skeletal maturity. This might pose a problem in refugee children whose non-compliance with drug therapy and loss to follow-up are possible as they frequently transit from one country to another. Author Vedran Stevanović, author Srđan Roglić, and author Ana Tripalo Batoš declare that they have no conflict of interest. Informed consent was obtained from all individual participants included in the study. Informed consent was obtained from the LAR/parent for publication of this case report.